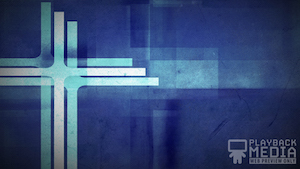 Three prominent turquoise crosses fill the left side of the frame as the dark blue and turquoise background shifts to reveal an additional, subtle cross. This motion is perfect for a retro worship service. Part of the Three Crosses Collection. 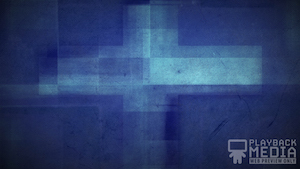 A close up of three glowing crosses fills the left half of the frame as the dark blue and turquoise background shifts angularly to reveal an additional, subtle cross. This motion is perfect for a retro worship service. Part of the Three Crosses Collection. A grungy dark blue and turquoise background shifts in geometric layers to reveal a central, subtle cross. This motion is perfect for a retro worship service. Part of the Three Crosses Collection. 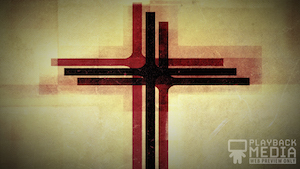 A close up of three glowing crosses fills the left half of the frame as the beige and red background shifts angularly to reveal an additional, subtle cross. 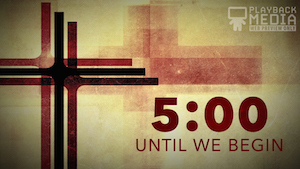 This motion is perfect for a retro worship service. Part of the Three Crosses Collection. 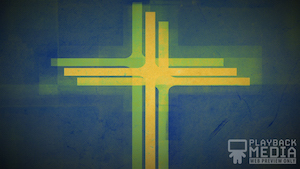 Two green crosses and a central yellow cross are layered tightly together on a dark blue backdrop. Light glare and shadows shift around the background. This motion is perfect for a retro worship service. Part of the Three Crosses Collection. 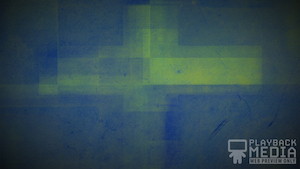 Two green crosses and one central yellow cross stand in the left lower corner while a contrasting, dark blue and green background shifts angularly to mimic the crosses. This motion is perfect for a retro worship service. Part of the Three Crosses Collection. 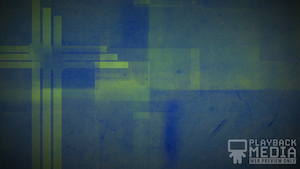 Three prominent green crosses fill the left side of the frame as the dark blue and green background shifts to reveal an additional, subtle cross. This motion is perfect for a retro worship service. Part of the Three Crosses Collection. 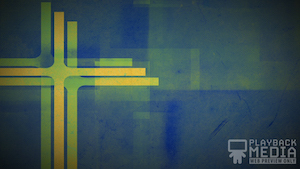 A close up of three crosses, two green and one yellow, fills the left half of the frame as the dark blue and green background shifts angularly to reveal an additional, subtle cross. This motion is perfect for a retro worship service. Part of the Three Crosses Collection. 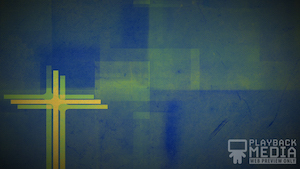 A grungy dark blue and green background shifts in geometric layers to reveal a central, subtle cross. This motion is perfect for a retro worship service. Part of the Three Crosses Collection. Three red crosses are layered tightly together with the central cross standing out. The beige backdrop adds contrast while light glare and shadows shift around the background. This motion is perfect for a retro worship service. Part of the Three Crosses Collection.